Haven't use either the Hancock or Koro but I have used the Comstock beaver traps and have found them to be extremely effective. I have picked up a lot of nuisance work in the suburbs since I was one of the few that could offer a non fatal trapping alternative. Are Hancock traps still being made? I haven't seen them advertised for several years. Between the Hancock and the Bailey beaver trap, I prefer the Hancock traps. The Hancock traps that I have are over 30 years old. If you have a source for Hancock traps, would you please post it? I have also had good luck with Comstock beaver traps. Note to self- Engage brain before opening mouth (or hitting the ENTER key/SUBMIT button). I saw the Hancock advertised but can’t remember where? I was surprised they were still made. I have both brands Hancock and Koro. Have caught a lot of beaver in both brands. I was concerned about the one latch at first too but never had one open up. WCS has the Koro on there sight. Always nice people to deal with. I think Tomahawk has the Hancock trap I like the hancock over the bailey. It was my understanding that Koro bought out Hancock traps. Have had issues with Koro's "hanging up" and not completely closing because the trigger binds up on the frame of that trap, preventing the trap from closing. Missed a beaver about two weeks ago with this issue. Only solution is to reset and hope the beaver comes back. 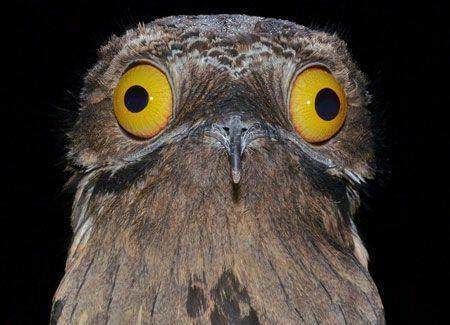 Called the guy from Koro several years ago, after explaining the problems that my company has had, my employees and I, have had, he states, wow, never heard of that happening. At the time he stated he would send me some new triggers, that was again several years ago. Still waiting for them. I have about 10 Hancocks and Koro's combined total traps. Have since moved on to Comstocks which are pretty good traps, for me anyway. "KORO Live Beaver Trap: This clam shell style Live Beaver Trap is the same design as the Hancock trap which has been available since 1930. 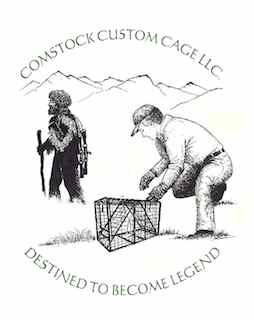 Constructed of a heavy duty aluminum frame and chain link mesh, this trap is built to last a lifetime. It weighs 25 pounds and folds to 6". This trap is..."
Yet there is a picture of the Hancock, that description clearly states Koro. I would be inclined to think Tomahawk has an old picture of a Hancock "stock photo" for their Koro's that they sell. But I could be wrong. Would love to find some old Hancocks, they sure where reliable. 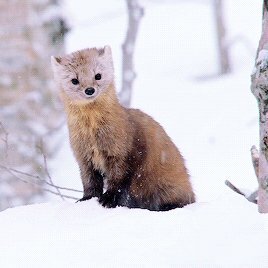 I do not mean to take this in a new direction, but as my Uncle utilized live beaver traps, one of which I have, and that trap almost took his nose off on a misfire in the 1960's, I have always considered the easier to transport, easier to set, larger version of raccoon live traps for beaver. In my part of the world, the beaver have land runs, usually cropping corn like hogs, so that is the simple solution and more affordable. I know this will not fit every situation, but the traditional live beaver traps do not fit all situations either. 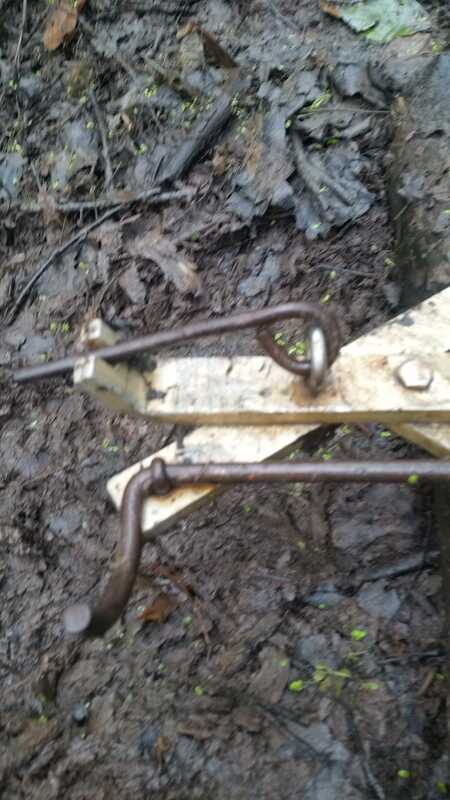 Kirk DeKalb makes a dandy beaver trap also under the brand name advanced traps. Much safer to use then the Hancock or Koro. 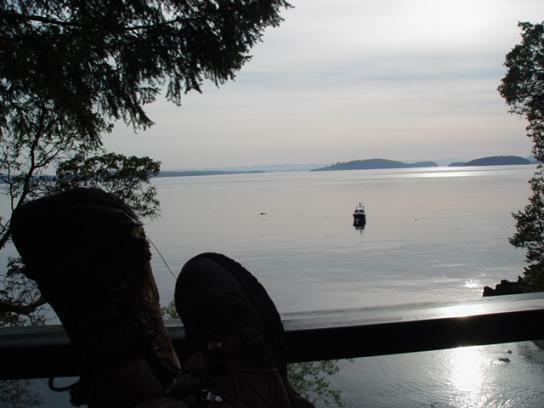 I knew a local game warden years back that was knocked unconscious from a Hancock trap. It was fortunate for him that he had someone with him when it occurred or he may have drowned. I know the question was about Koro and Hancock but I see that it expanded. Tomahawk carries Koro and Bailey in the clamshell traps. 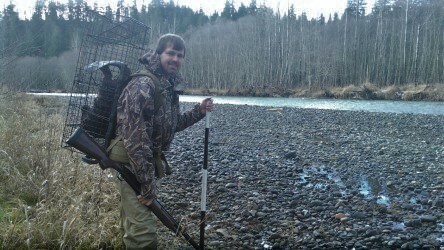 I have used the Comstock beaver traps to take 1,014 beaver in the past eight years, all ADC, and though I do use both Bailey and Hancock when necessary, I have used them to catch perhaps 20 beaver with them together in "fill in situations" during that same eight years. I think my Hancock is bent after a stick, I missed in the muck, got caught in the corner, allowing the beaver to escape. 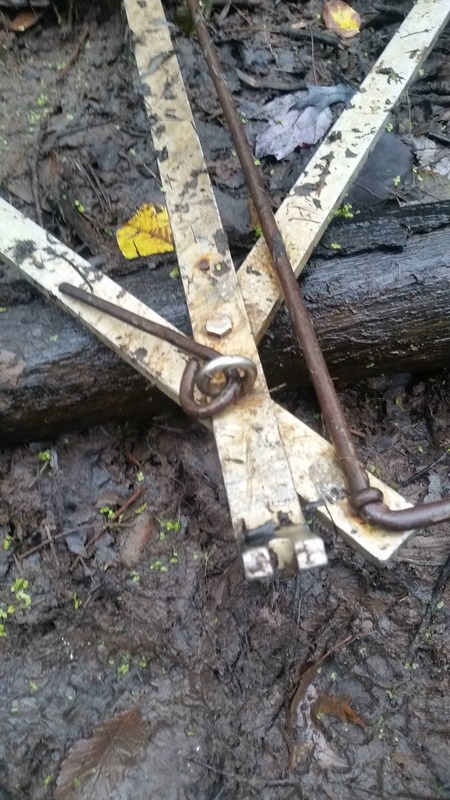 I have had similar sized sticks and larger get caught in the doors of Comstock traps, but the traps have a gap that allowed the doors to close and lock with the stick and beaver both remaining caught. Others have experienced the same. I do like both the Hancock and Bailey but they are a lot more dangerous. Got my nose split when in a hurry, but just once. 99.9% of what I do is in water as I don't have trails like star flakes mentioned, but if I did I wouldn't hesitate to set trails too. I wish I had the opportunity to set a land set now and then like others have done successfully with swim through cage traps set right side up or sideways. Before I made my own traps I owned 12 Koro and two Hancock beaver traps. I had better luck with my Koro,s and sold my Handcocks. I wore out the koro's over a 12 year period. I found them to be a very useful tool. I know I caught at least 1000 beaver in them, maybe over 2000. They were useful the most for me in places where there were no runs and steep banks where foot holds and conibears were not allowed. They also were used in box culverts with permission by using a concrete nail gun securing a plywood plate to the interior wall of a box culvert and hanging with a cable. The deep and wide culverts would hide them under the road. I never felt they were dangerous as long as they were used properly. Same goes for a conibear. I would recommend the Koro for an ADC trapper, to have at least one. The way the trap works makes it very important on the large beaver to place the lure or bait allowing it to correspond best to the best water level to make the catch. 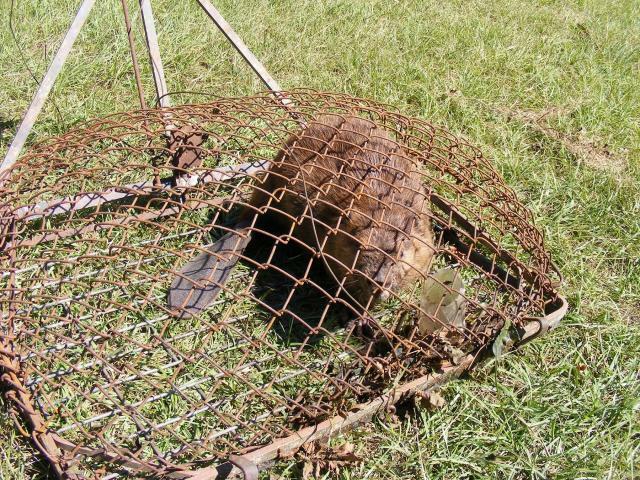 The trap roles the beaver up into the trap. If the beaver is over 60lbs and the trap fires when the beaver is somewhat out from the trap, the door may make him role out of the trap when it fires or not allow a fast closing, missing the catch. Handcock traps are still owned by Blair Wade in Custer South Dakota. The SD fish and game guys took Trapper collage same time as I did. They have been getting them. Both Koro and Handcock are good traps. Been using them for 22 years full time. Comstocks also. I have Advance traps as well. Blair Wade was very sick a few years back and stopped making traps for a while. Koro has a problem with hang fire do to the steel dog binding on the frame. I have an easy fix for this. I removed the frame piece that holds the dog and replaced it with an eye bolt. Much bigger opening. Not one hang fire in 5 years. I'm out of town until 9/23. I'll post a photo after that. There are a few people who know and have used my fix. Maybe one of them can post a photo before I get back. Thanks Don, I would look forward to seeing that picture. I also have both traps. "Here you go. I remove the bar that holds the dog. Replace it with eye bolt. You can have the dog come from bottom also. That way the dog fits the notch better. You can use 1/4inch bolt to replace rivets too. This is to easy to fix the hang fire. Last edited by wildflights; 10/27/18 09:55 PM. These modifications above are really nice. Might have to spend some time in the warehouse to fix all my traps. The sad part is the company should be doing this to fix the problem, particularly considering the price. I shouldn't have to spend hours fixing the traps they make. Very nicely done sir! Kudos!